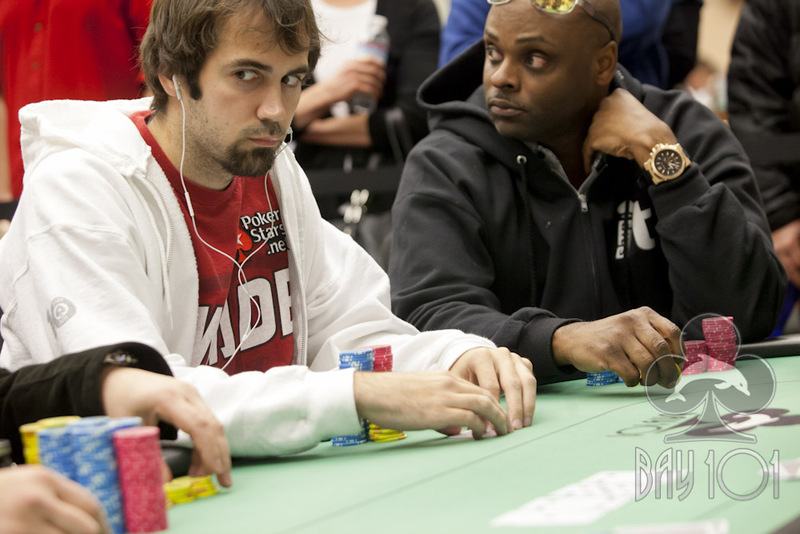 Jason Mercier was all in preflop holding the [Ts][Tc] against the [Kd][Kc] of Jonathan Duhamel. The board ran out [Ac][5h][5c][Jd][Jh], and Duhamel eliminated Mercier to bring the field down to 26 players. Duhamel will collect $5,000 and pad his chip stack to roughly 960,000.